Star Trek in the realm of visual science fiction has allowed many to dream of a better world. It has additionally enabled people to dream of growing as individuals in the finite time that we have on Earth. The latter idea particularly has resonance due to the amazing characters that were created for the show; none was more meaningful nor immediate in encapsulating the human experience than Spock. Conceptually, the science officer of the Enterprise represents the continuous conflict that resides in all human beings, that of emotion and logic, made apparent because of Spock’s half-human and half-Vulcan heritage. For any actor, this character would seem like a daunting prospect to play. However, it is a credit to Leonard Nimoy that he was able to find that delicate balance in his acting that allowed the audience to relate to him. Whether it was his dry wit, his bafflement and curiosity of human practices or even his famous eyebrow cocking. Mr Nimoy made many great choices as an actor in creating the iconic character. Despite this, Mr Nimoy’s mark on Star Trek was far greater than just turning up and putting on the ears. After the emotional, Star Trek II: The Wrath of Khan, the world had thought that Nimoy was done with playing Spock on screen. 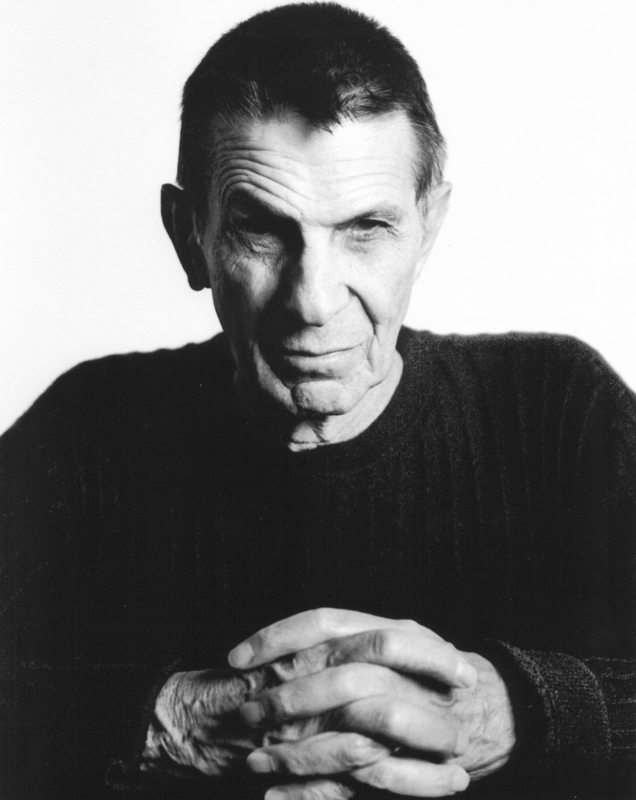 But a change of heart and a larger role in the creative process made Nimoy come back to the fold. The result was Star Trek III: The Search for Spock, the first of Nimoy’s directed Trek pictures. Despite being a massive retcon of the death of Spock, the film still delivers in being an engaging cinematic experience. It added much to the canon including the death of Kirk’s son, David, which sets up his hatred of Klingons and reinforces one of the central themes of the picture. The film was about the lengths that one goes to in order to pursue a meaningful, intrinsically good goal can be fraught with obstacles, but one’s resolve is enough in order to achieve them. Mr. Nimoy returned to the directing chair and delivered arguably the most popular installment in the Trek film series, with the 1986 picture, Star Trek IV: The Voyage Home. It was easily the most accessible film, and its light touch was a welcome relief after two emotionally overwhelming films. Mr. Nimoy’s contrast of the intrepid crew of the Enterprise with contemporary 1980s San Francisco was a great idea. Along with the underlying theme of communication, it made this installment a fun, enjoyable ride for the original series crew. Mr. Nimoy would go on to continue playing the character even beyond the films that featured the 1960s crew. He appeared in Star Trek: The Next Generation, and most recently the new rebooted series, in which his dignity and class were a much-needed relief for the contemporary ascetic of Star Trek. Mr. Nimoy contribution to science fiction is incalculable and as the greatest ambassador of Star Trek, he will be missed. The legacy he leaves behind still inspires us to believe in a better humanity and world.